Posted on December 26, 2014 by যায়নুদদিন সানী	in Awami League, BNP, Uncategorized, Ziaur Rahman and tagged BNP, Featured, Khaleda Zia. Posted on January 12, 2014 by patriotofbd	in Awami League, BNP and tagged Bangla, BNP, Featured, Khaleda Zia, Slide, Slider. গণতন্ত্র’, ‘সংসদ’, ‘সংবিধান’ এবং ‘নির্বাচন’ নিয়ে ৪২ বছর বয়সী যে দেশটির মানুষ দ্বিধা বিভক্ত। যে দেশে জামায়াত শিবিরের গুটি কতক মানুষের ভয়ে আওয়ামী লীগের মত একটা দল এক তরফা ‘নির্বাচন’ নামের একটা জুয়াখেলাকে নিজেদের জন্য ফরজ করে নিয়েছে। সে দেশেও আমাদের আশা আছে! আওয়ামী লীগ এত জামায়াত বিরোধি মনোভাব দেখায় তো তারা জামায়াতকে নিষিদ্ধ করছে না কেনো? উত্তর একটাই তাইলে যুদ্ধাপরাধী আর স্বাধীনতা বিরোধি তাবিজের বিক্রি বন্ধ হয়ে যাবে। তবে এইবার নাকি নিষিদ্ধ করবে! 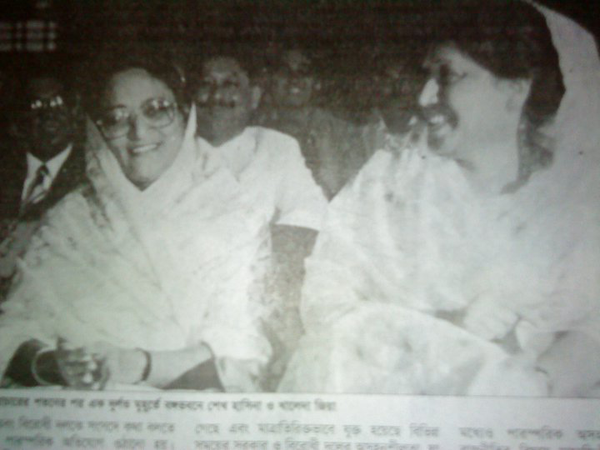 Posted on January 1, 2014 by nuraldeenblog	in Awami League, BNP and tagged AL, BNP, election 2013-14, Khaleda Zia. ২ ) বিএনপি জনসভা করলে মানুষ আসত, মানুষ আসলেই কী? মানুষকে কিসের ভয়। এত জনাতঙ্ক কেন ? ৩) যেই জনসমুদ্র হবে, তাঁকে আওমি লীগ কী মোকাবিলা করতে পারবে না? Posted on December 31, 2013 by patriotofbd	in Uncategorized and tagged Bangla, Featured, Khaleda Zia, Slide. কিন্তু আমি অন্য একটি জায়গা ফোকাস করতে চাই। বিশ্ব বাস্তবতা ও নিজস্ব সক্ষমতার প্রশ্নে ভারত ১৯৭১ এ বাংলাদেশকে দখল করে নেয়নি এটি সত্য। কিন্তু ভারত যদি চাইতো তবে কি এটি অসম্ভব ছিলো? ভারত কি কিছু দিনের জন্য, কয়েক মাস বা বছরের জন্যও এটা পারতো না? ঠিক কাজটি না করে শুধু শুধ কথা খরচ করলে কী লাভ হবে যে ভারত বাংলাদেশের সব কিছুর মালিকহয়ে গেছে? কী লাভ এ কথা বলায় যে সেনাবাহিনীতের র’র পূর্ণ নিয়ন্ত্রণ চলছে? কী লাভ এ কথা বলায় যে গণভবন পাহাড়া দিচ্ছে ভারতীয় অফিসাররা? কী লাভ এ কথা বলায় যে বাংলাদেশে কে ক্ষমতায় বসবে, না আসবে তার সিদ্ধান্ত নিচ্ছে দিল্লীর সাউথ ব্লক? Posted on December 30, 2013 by patriotofbd	in Uncategorized and tagged Bangla, Featured, Khaleda Zia, Police, Sheikh Hasina, Slide, Slider. এর পরিণতি যে শুভ হবে না- তা তারা বুঝেছেন। জনগণ দেখেছে। এর পরিণতি শুভ হয় না। এর পরিণতি হবে অত্যন্ত ভয়াবহ ও কঠিন। জবাবদিহি করার জন্য প্রস্তুত থাকেন। সরকারের উদ্দেশে তিনি বলেন, আপনারা আইনজীবীদের ওপর আক্রমণ করেন, গ্রেপ্তার করেন, সাংবাদিকদের ওপর নির্যাতন চালাচ্ছেন, মা-বোনদের ওপর নির্যাতন করছেন। আপনি না (প্রধানমন্ত্রী) মহিলা। আপনার মহিলাদের প্রতি এতটুকু সম্মান নেই। এতটুকু দরদ নেই। যে, আমরা মহিলাদের অন্তত সম্মানটা রক্ষা করি। সেটাতো আপনারা করেন না। কি আচরণ করেছেন? Posted on December 28, 2013 by nuraldeenblog	in Awami League, BNP, Politics and tagged AL, English, Featured, Khaleda Zia, Sheikh Hasina. However loathsome they are, the matter of fact still remains germane that the two bickering ladies remain the sole arbiters of power in Bangladesh. Like her predecessor the sitting Prime Minister wields unfettered muscle even beyond her constitutional ambit. If desired she has the chance to undo even the most difficult of the Gordian Knots. But the million dollar question is – does she has the desire … or does she still has the unfettered power she once had, for we know, political entropy has a life of its own. Sheikh Mujibur Rahman once famously posited that he is surrounded by thieves. Such dawning was not followed by effective executive measures. If that was done, our history possibly would not have been so incarnadine. Well, following the widespread destruction of the infrastructure and an empty exchequer, he did not have the best hands to play well. However, things are different now. Bangladesh no longer is a bottomless basket. Entrepreneurs in Bangladesh are achieving international acclaim. Muhammad Yunus and Fazle Hasan Abed stand out – but there are thousand others. Competent, smart and well educated Bangladeshi abounds both at home and abroad. They are the real engine of economy that, for lack of right governmental vision, continues to lumbar forward in struts and frets. A dream of joining the club of other Asian Tigers is yonder – separated only by the lack of a visionary leader. For us, the chemistry is ripe. Although our Prime Minister has squandered five-years worth of time and even more of political capital – she, or her absence thereof, still remains the only option left. At this precipice, not much time left to reign on her non-ideologue sycophants who never cared for the country to begin with. It is high time; she begin to listen to the outside voices of sanity and unleash the power of governmental juggernaut for the right causes. Yes, the beautiful daughter of Priam was blessed with an ability to foretell and, at the same time, was cursed with a perpetual inability of being convincing enough. Or was it the stupidity of haughty politicians and macho warriors that lead to the disastrous consequence that befell on Troy? But that was then when communication was not a cobweb surfed so easily. No, today there is no scope of such stupidity! Nation voted for a change. Nation voted for a Din Bodoler Ongokar. Sheikh Hasina is bound by her promise. Rightfully, nation deserves a Cassandra Moment. Posted on November 3, 2013 by Rumi	in Awami League, BNP, Election, Politics, Ziaur Rahman and tagged English, Featured, Khaleda Zia, Sheikh Hasina, Slide, Ziaur Rahman. 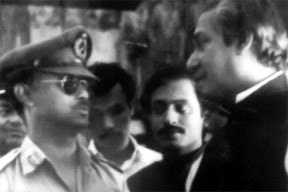 In a speech to the nation on November 30 1978, President Ziaur Rahman declared parliamentary election to be held on January 27 of the next year and also declared that martial law will be withdrawn immediately after the election. Although newly formed BNP and some other small parties started preparing for the polls – most major opposition political parties including both fractions of AL, Muslim league (still a big player then), JSD, NAP etc. decided to boycott the election unless their demands were met. The combined opposition’s demand included immediate withdrawal of martial law, resignation of Zia from army chief position, removing ban on open politics, repeal the fundamental rights suspension which was in effect since 1974, restoration of parliamentary democracy and 1972 constitution by repealing 4th amendment etc. On the face of boycott by major opposition political parties, Zia made a far reaching set of concessions. He restored fundamental rights, made proposals of sovereign parliament with ability to impeach the president. He also removed presidential veto power on bills passed by parliament, put a limit on technocrat ministers and conceded on opposition demand on the selection criteria of leader of the house. After these concessions although Muslim league decided to join elections- other opposition parties including factions of AL, JSD etc. continued with the decision to boycott the polls. To resolve the political impasse, President Zia called for a dialogue with political parties – all parties went to Bangavaban, prolonged deliberations took place but nothing fruitful came out of that dialogue. As Awami League factions kept insisting on election boycott and as it seemed country is stuck in a hopeless deadlock, President Zia, against the advice of his political advisors, unilaterally made another set of sweeping concessions. He withdrew martial law restrictions regarding open politics, started the process of release of all political prisoners, and as demanded by opposition, pushed the election date back by a few weeks to give the opposition parties enough time to prepare for the elections. President Zia’s gambles paid off, an all-party election was made possible, Bangladesh moved one big step closer to restoration of democracy – the rest is history. This little snippet from the past shows how much and how little our politics has evolved in last 3 decades. Whatever Zia ‘a distractors will say, Bangladesh is this Bangladesh today because Zia could hold his nerve during those tumultuous years of mid-late 70s and at the same time he made some very smart political moves including the series of concessions as described above. At the same time, the pragmatic reality based politics of AL leaders Mr. Abdul Malek Ukil and Mr. Mizanur Rahman Chowdhury did shape the history of Bangladesh. Within 4 years after supposedly annihilation of August 75, AL again came out as a major political party with intact wide grassroots support base. Although AL factions won only 41 seats in the election, it secured nearly 30% of the votes. In most seats where BNP won, AL came out close second. It was a time the mere survival of the fledgling country of Bangladesh was uncertain. Yet concessions made by one political leader and pragmatic politics by the others made us defy the overwhelming odds against our survival. Today as we are in another crossroads of the history, we need similar concessions and pragmatic reality based politics from our Prime Minister and the leader of the opposition. Late president Zia was a military strongman running a turbulent country with martial law. Yet he made concession after concession to facilitate the democratic journey. Now it’s time for PM Hasina to show her political maturity and statesmanship and seal her image as the needed statesman for the time. Holding an opposition less election is not in the best or long term interest of the country as well as of the party of Prime Minister Hasina. Yes she can ignore opposition demands, and if she really wants to hold the elections unilaterally using brute state force, the opposition will not be able to stop her. But by doing so – she will harm her country as well as her own party. As a result of the election without all party participation, our fledgling democracy would go back by one decade. We will turn into another poor 3rd world autocracy. All sorts of militancy will start rising its ugly head in different corners of this impoverished country. Public disapproval of her government will reach unfathomable low. Extreme infighting will overrun her party. Leadership deprived of government positions and perks will get desperate to depose those enjoying all the perks and privileges. If the fictions and clashes during the five year term of current Hasina Government are indicators what Awami League has in its future as an incumbent party, it can be easily predicted that intra party feuds, sabotage will reach an epidemic proportion. Any political observer can safely predict that way before completing her second five year mark; PM Hasina’s government will be inches away from implosion. On the other hand, if PM Hasina can be seen making the concession on her own, not under pressure, she will look like showing statesman quality Ziaur Rahman exhibited during late 70s. It is PM Hasina who has to take the steps to convince the opposition to join the elections. She has to do something tangible or convince the opposition come to elections. She will have to sort it out with the opposition and negotiate with them to bring them to election. Most likely she will lose the election. This loss will be the best exit strategy for her. This loss will pave the way for quick and another big comeback of her party. It is almost certain that if BNP returns to power, it’s newly gained popularity will vanish rapidly. A return of Tarique Rahman will significantly curtail BNP’s support among middle of road BNP supporters. Along with Tarique Rahman’s return to day to day affairs of governance, Anti-incumbency factors as well as upper hand of ultra-right wing political backers of BNP will quickly dissipate all the inroads BNP made in urban educated classes and ‘middle of the road’ Zia admirers through Mrs. Khaleda Zia’s visionary leadership style between 2008 and 2013. Now PM Hasina will have to decide which option will be in the best long term interest of her country and her party. She can hang on for her second consecutive term, let her party implode and face an ignominious ouster to face another long term public rejection like it experienced post 1975. Or she can take a short term leave from power only to return to power with more popular, a better rooted and organized party. If Awami League cannot free itself of the curse of incumbency, there is no reason to believe that BNP will be free from the same curse next election cycle. Leader of opposition led her party to an unprecedented come back from oblivion. She accomplished this major feat not by violent street confrontation but by avoiding exactly the same. It is understandable that after her bitter experience at the lack of level playing field during 2008 elections, this time it will be hard to convince her to join election in a suboptimal state of affairs pertaining to the elections. However the leader of the opposition also need to understand that with the type of organization she leads, it will be very difficult to stop the government from holding the election. And once an election is held, her party will be under more intense pressure from the state law enforcement agencies. Leader of opposition knows very well that under any condition, if BNP joins the election, it will be nearly impossible to deprive BNP a landslide victory. If the leader of the opposition weighs the options she has at her hand which are – launching brutal street agitation to force Government into accepting the demands or somehow find a way to join the election, even accepting a short term defeat about the election time government, BNP has much more to gain, much less to risk. Under current conditions – with more connectivity, aggressive media activity on the ground – mass scale rigging of election to change the total results will be nearly impossible and even if that happens – that government will not be able to hide the massive irregularities. A movement against a widely perceived rigged election will have better traction than a failed movement against a non-participatory election. It seems no matter what the Government offers, for BNP, joining the elections is the best exit strategy out of the mayhem. And exit out of this mayhem – that is what the whole country is eagerly rooting for.